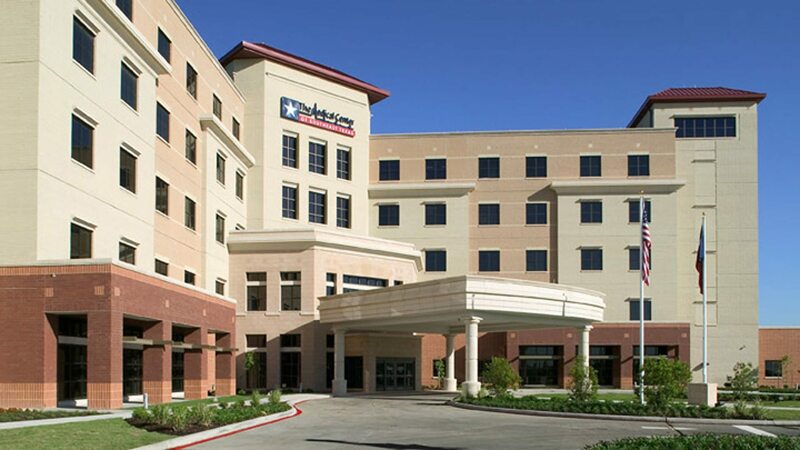 TMP designed the Medical Center of Southeast Texas to optimize comfort and functionality while providing enhanced staff and patient flow. The 350,000 square-foot facility contains the consolidated programs of Park Place Medical Center and Mid-Jefferson Hospital. The building’s exterior colors and massing recall the resort hotels that dot the gulf coast from Texas to Florida. The new facility has become a catalyst for commercial development in the surrounding area. A master plan that allows for significant future growth of the hospital and related uses such as medical office buildings. A design scheme that features major “streets” and neighborhood blocks to simplify wayfinding and to increase flexibility for future change. Staff lounges on patient floors that are on the exterior wall to allow for natural light and views. All patient rooms are private with window views of the surrounding community. The collaboration between the design team and contractor resulted in a 30-month delivery schedule.